SUMMARY: Northguard’s investigation leads him to Arizona, where he needs to save Senator Walsh from a sniper’s bullet, but an old foe lurks in the shadows, ready to take revenge. 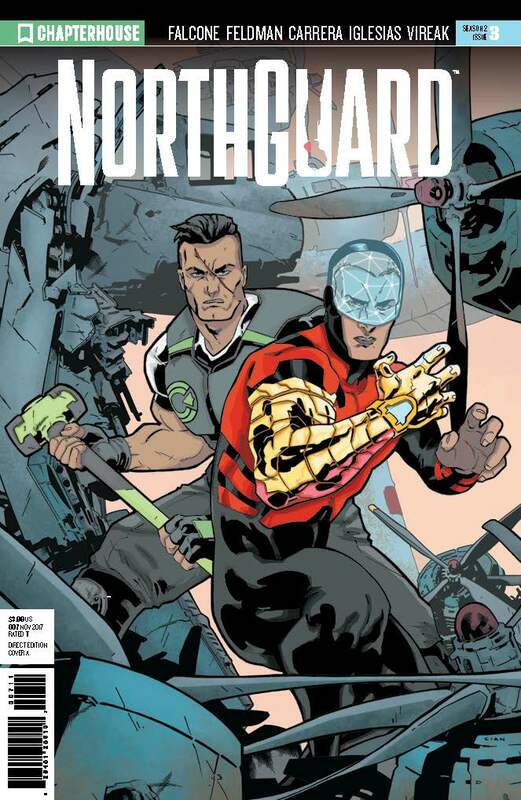 Plus, because you demanded it, Hammer and Northguard, together again for the first time! COMMENTS: The Aurora Dawn is back! It’s nice to see the pieces of the story start to come together. I do have to say I am really not a fan of the new look for Northguard season two. It does not give a Canadian feel at all. The metal arm is also hokey. Michael Evans shows up and destroys the trust all the characters have been building to date. Then, Hammer shows up and makes things worse. The story and are are both average, I had enjoyed the first season very much and was hoping to like season two even more with the stronger connection the Chaptervers was establishing. However, this season is not as good as the first.